Right now it feels like I am surfing a huge wave. I want to ride it for as long as I can. It has been such a life affirming experience. A month ago I was at a cross roads. My emotions were running so high. I was afraid I could lose everything. I was close to having panic attacks, my Mum was becoming ill, I had increased my anti-depressants because my depression had returned, the progress I had made with my volunteer work & my creativity. This was all because I thought I could not deal with the breakdown of the relationship with my best friend. Once my reaction to this began to effect my Mums health I realised I had to turn my life around, once more. I was so fragile & vulnerable at this point. Thanks to my family, my dear friends & my faith, I found the support & comfort to make positive steps on the right path. I have just been through a month of my life which encompassed the whole spectrum of emotions & humanity. Hopes, dreams, friendships old & new. Inspiring , unsettling, heartbreaking but all of it 110% living life to the full. Last years annual art exhibition was like a "coming out" ball for me. It was wonderful. At the time it crucially gave me the confidence to believe for the first time in my life I could really live the life my heart had always longed for. Just prior to this year’s annual art exhibition with my emotions so entwined with my creativity I felt I was on the verge of losing all the creative progress I had made. To stop this happening I decided it was time to “Come out “again, this time regarding my art. I had never felt confident I could paint the way I used to before I was so ill a few years ago but I had recently connected with my creativity more than ever before. I finally decided to let the hospital where I do voluntary work know about my creative side by showing them a book of my art. I also invited them to the art exhibition. They were really impressed & this boosted my self esteem. It also meant I could not back out of the exhibition or stop painting. The only place to go was forward. 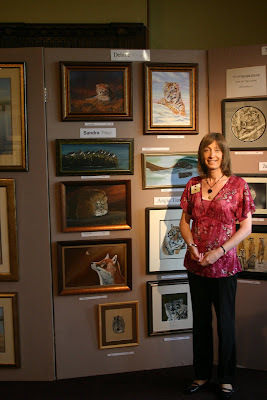 I had a great time working at our annual wildlife art exhibition this year. I felt like I really played a full part this time. It took a team of over twenty helpers five days to put up. We had over 700 paintings & sculptors from 230 professional & amateur artists. On the handing in day I was like a child at Christmas mesmerised by the brilliant art work being unveiled before me. We were only open during the day for four days. There were three very busy private view nights & at the weekend we also had marquees with artists demonstrating their skills. We were fortunate to have several thousand visitors & sold over £60,000 of art. Financially it was an exceptional success considering the world wide recession. What I really enjoyed was the pleasure the work seemed to give & the inspiration it may have given to our visitors to take up art & perhaps think more about the conservation of our precious wildlife. When it was all over it only took a day to come down & it felt rather sad like taking the Christmas decoration downs. It was a lot of hard work for a small team of dedicated volunteers & seemed all over far too quickly but it was so worth the effort for the joy that it brings to so many. The event was socially in terms of gender issues a total none event. I spent much of my time liaising between the artists & the full time staff, making teas or just running about doing errands. 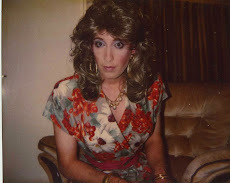 I continued to be totally comfortable & totally accepted as me as Debbie. Just as it should be. I felt completely comfortable in my new role in life & blended seamlessly right into my natural habitat, that place they call real life. If I could paint a picture that conveyed how beautiful & wondrous that feels yet also so ordinary, it would be a masterpiece, I feel impossible to express in my limited vocabulary. May be its a picture no artist could paint? It has been such a special time for so many reasons. Having my beloved parents by my side attending one of the private view nights of the exhibition was one of many. An event they were unsure they would attend because of the complex issues of the break down of the relationship I had with my best friend. Meeting so many wonderful friends was always going to be a joy. Some were old & many new. Friends from my old life, my previous working life who took the trouble to come along & were so pleased at how much happier & healthier I looked now than I ever had as Bob. Meeting dear friends who are on the same path, such as the delightful Jo, a lady whose “Spirit of adventure” helped me so much to find my true self. Receiving a hug from dear Nicky via Jo was so sweet. Meeting the delightful Lucy Melford whose company was so charming & sharing some time with her on one of her own first big adventure into the full on real world. She very kindly bought my cheetah cub painting. She too has a creative talent & passion which had perhaps been dormant for far too long. To see her blossom in a haven I had found such solace in, was another major highlight. Meeting my best friend & dealing with the initially fraught situation that followed with dignity gave me new strength that I was actually stronger health wise than I thought. I would like to publicly thank my friend Karen for offering me such inspiration in coping with stressful situations such as this. I had feared I may have been foolishly acting rather like a moth suicidally attracted to a flame, continuing to hope to rekindle something which once burned so bright. Thankfully I was wrong. Her initial angst was followed quickly the same evening by me receiving an unexpected apology from her. There after, each time we meet there was a thawing in the chill that had beset our friendship. This culminated in an opening of communications between us to a level which may, with some caution, given time, heal our friendship. The last thing I would ever have wanted was for her & her husband to feel ostracised & isolated from our group of creative friends, who would all be at the exhibition for several days. This had all come about because of the insensitive cruel behaviour of a prominent couple in our group. To know how much they were hurting cut me to the bone. For me a person who had been in the closet afraid they would be ostracised from all their friends; only to have this incredible couple transform my life, by holding my hand every step of the way, until I was ready to be left free, my empathy was so intense. Perhaps I found it hard to let them go, perhaps in some way they had with me? May be its time for me to stop over analysing every part of my life & just live it. In good faith I did all I could, while respecting their wishes to give them space, to make sure everyone they knew realised how much they missed being with their friends at this event in the hope they would all reach out to them. Only they could make peace with their own demons, it was up to them to speak with the couple who had caused all their grief. Last year something truly heart warming had happened out of a year of great sadness for my best friend, when she was finally able to discover just how good we all knew her art was, when her first solo exhibition was such a huge success. Her husband was also lacking in confidence in his brilliant artistic wildlife photography, which so many of our artists use as reference. Magically by the end of this years exhibition week he too was to discover just how good his creativity is & discover some self belief he never had before. Best of all they both found they had many many friends who had never stopped loving them. They are now both on a well deserved holiday. Artists are often never happy with their work & tend not see their talents in the way others do. Perhaps a certain amount of artistic dysphoria prevails, who can say? 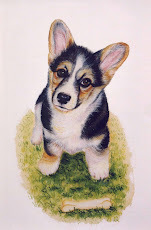 I had new members, new artists just starting out, chatting with me. Some were disappointed they had not sold. I hope I was able to reassure them & encourage them to make the most of their creative gifts. No one knows what potential they have in them until they try. It's never too late. I reminded them “it’s the taking part that really matters”, the camaraderie, the pleasure of creating something meaningful. This is art for goodness sake not war, it should be fun, and we are not in competition. At the same time it can mean so much & so enrich your soul. I reminded them to just enjoy taking part & meeting new friends. To be inspired not daunted. I told them of the times when I could not enter because my creativity was blocked. I commiserated with several artists who had been unable to enter this year & wished them well, trying to reassure them they will find a way when they are ready to achieve their creative dreams once more. I was so pleased to sell both my paintings this year but the event was about so much more than just selling paintings. On the final day of the exhibition I had an encounter with an artist I had never had the privilege to meet before. This stranger was in many ways a kindred spirit. He was an elderly gentlemen who had been born in Africa & lived there most of his life. When he shared his story with me he bought everything that had happened in this maelstrom of creativity into perspective. He had been a prolific & very successful wildlife artist in Africa who had been living in this country for five years. He was yet another tragic refugee from Zimbabwe. His only consolation was that he had escaped with his life. He had lost his family, his home had been burnt to the ground, he had been threatened with murder & torture several times before finally being driven out of his homelands. He left his soul in Africa; his creative life force had been burned to a cinder. Sadly he is one of several new members we have had from Africa who has been through such an experience. He was to my knowledge the only one who had been completely unable to return to his painting & connect with his creativity & it was this fact that really got to my heart. All of this happened with the knowledge that this special haven of friends, this event could well be our last for my society of creative friends. Some how being through all of life’s recent challenges, in the scheme of things this did not faze me. It will be a tragedy particularly for amateur artists but also for the tourist attraction that holds our exhibition, as we both win from the situation of having our events in the park. I will be so sad if that happens yet incredibly I feel more able to cope with my future now than ever before. Hopefully the friendships we have all made will survive. It does feel like so many of my social eggs are in one basket but so much is changing, evolving now. My life is so much richer. I have learned so much about myself & life, in this most incredible year. What will be, will be. Upon my return to volunteering this week I had more amazing experiences. I intend keeping myself busy for as long as I can as my date with destiny on 3rd November suddenly begins to zoom into view. I am now doing voluntary work up to three days a week working in a hospital which I find so rewarding. I help in a paediatric department, the volunteer’s office, with a learning disability team & a bereavement team, mainly helping with administration tasks. The senior sister in the paediatrics department asked me to see her this week. She had been so impressed by my art she asked me if I would consider painting murals in their sensory room, for the children. She also asked me if I would paint murals in their “Butterfly Room”. This is the room they take the brave young children to have their blood tests done. Often they have had so many injections & tests in their young lives they become frightened. They have creams or spray applied on their arms to help ease the pain of the injections. When they are ready they are taken to the "Butterfly Room" which is designed to be tranquil in appearance to help to relax them. The room is coloured pink & sprinkled with butterfly’s but now in need of some fresh paint. The sisters remit is for me to use my artistic judgement so that the room caters for boys & girls. They will be applying for funding soon & once I have recovered from my surgery I have this fantastic project to look forward to. I am totally exhausted, emotionally drained but so grateful for the life I have now. I find the words of a song I heard recently resonating in my head. The singers name was familiar from my past, his name was also Rob, it seems I will never forget him. "Life is for living, I have so much love running through my veins, so much to live for!" How quickly life can change. There seems to be no time to draw breath as a new challenge or a new experience comes into my life. I am so relieved I have managed to cope with my anxiety issues & flourished in situations that had seemed potentially daunting. 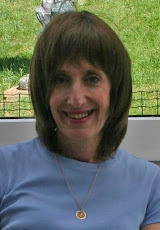 I am thrilled at the progress I have made in the last month to get my life back on track. Sunday I hope to take my Mum to visit the hospital & meet the team where I will be having my surgery. She wants to come but if she changes her mind that's alright too. The trip is purely to help her anxiety & give her comfort that I will be in the best possible hands. That I need to put her & my dear Dad through such trauma at this time in their lives still fills me with so much guilt. She has been through so much in her life time, bless her. She looked so radiant at the exhibition, pretty as a picture. I feel like a butterfly bathed in Sunlight for the first time. I wish these feelings could last for ever & that all of us who struggle, could believe in themselves & be given the chance to live our dreams! Ps Please excuse the epic length of this post. I have hardly had time in my own home to type anything up for the last few weeks & just wanted to record all the special moments to share with you. I was so pleased to read your post. I'm so pleased for you - and you have a commission! It's a lovely photo of you, you look beautiful. So much uplifting news in this post, Debbie! Nice of you to mention me, although I must deny being 'delightful'. Nobody has ever called me that before in my entire life. And equally I must disclaim being 'charming'! 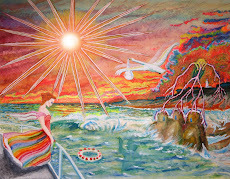 Incidentally, everyone please note that while I loved Debbie's picture, and bought it even before it was hung, I also purchased five other works at the private viewing, each by other artists, and so I spread myself around. Pity I couldn't buy more, but they were all things I really liked, and once they find their places in my home I will do a posting with photos. OH, and WHAT a beautiful picture of you. Thank you Anji, Lucy & Chrissie, for your kind comments. Lucy, my friend I meant every word. It was so nice to spend some time with you. May you all have a Marwellous week. The exhibition sounds like it was a wonderful event, and that is a fantastic photo of you. Thank you as well, if I helped in some way I'm really glad,but the support and inspiration you have given me in the last few months have been invaluable. You'll never know how much it has meant. Thank you. and it's great you have got a commission. Tears of happiness rolling down my cheeks for you! Thank you for each and every word here! You're a shining example that defeat can give way to victory, darkness to light. I'm so proud of you! Thank you so much, dear Jo , Lori, Karen & Jess. Your kind words help lift my spirits.